We are delighted to welcome you to our freshly-renovated, contemporary lobby, restaurant and rooms. Upping the comfort stakes, our rooms now have 36 HD channels, including BeIN and Canal+. The ibis Evry hotel has 90 rooms, a restaurant, sunny terrace, brightly lit meeting room, free enclosed car park and unlimited free WIFI. 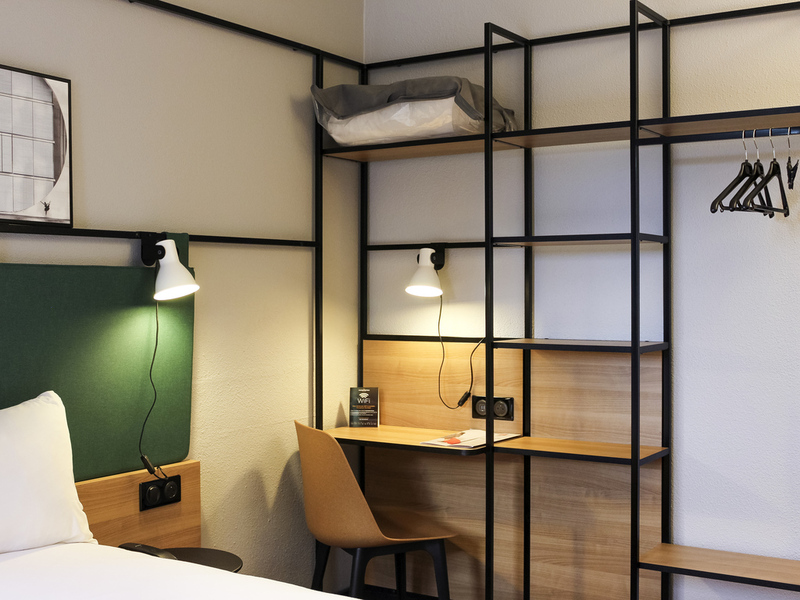 Situated in the heart of the Bois Briard business park, with direct access via exit 34 of the A6 highway, the ibis Ev ry hotel is ideal for business travel or a family outing in the heart of Evry: the hotel is located 5 minutes from Evry cathedral and the Arènes de l'Agora indoor arena. Modern rooms with free WIFI access. Private and secure free car park.